This pen has been designed for the Arthur Kingsley Porter Project. We decided to use Elm Wood as this was the name of the colonial mansion the Porters purchased in Cambridge, Massachusetts in 1922. Elmwood was built in 1767 and was the former home of the Vice President of the United States. The Porters used it as their private residence. When Lucy Porter died in 1962 Elmwood was bequeathed to nearby Harvard University. 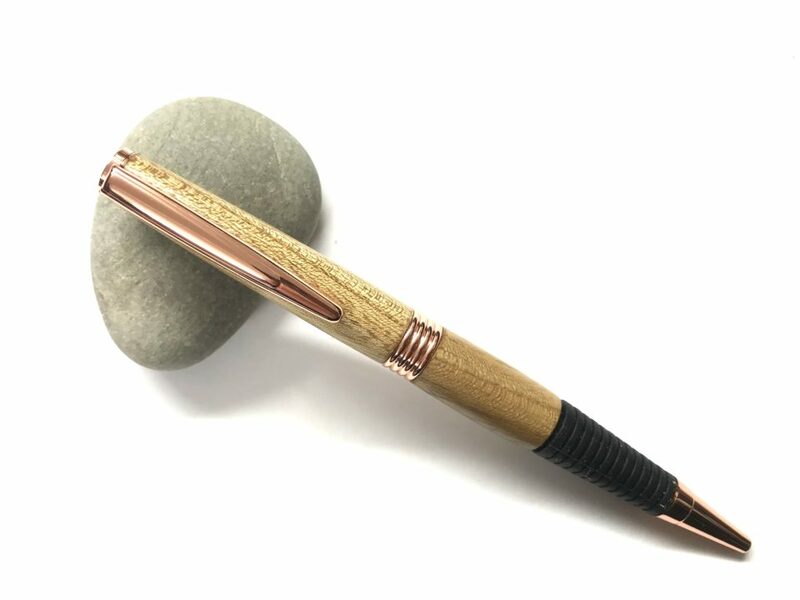 The pen has a copper clip finish and comes as standard in a red box.